This collection of gifts will blow your recipient away! They get to choose from a full Hitachi handyman project center, JVC HD – LCD 42″ TV, washer and dryer by GE, Sony “VAIO” all in one PC/TV. There is also a Carnival 4 day cruise or something to take them to new highs like a ” Fighter Pilot Experience” Now that could be better then the 1.0ctw diamond stud earrings. 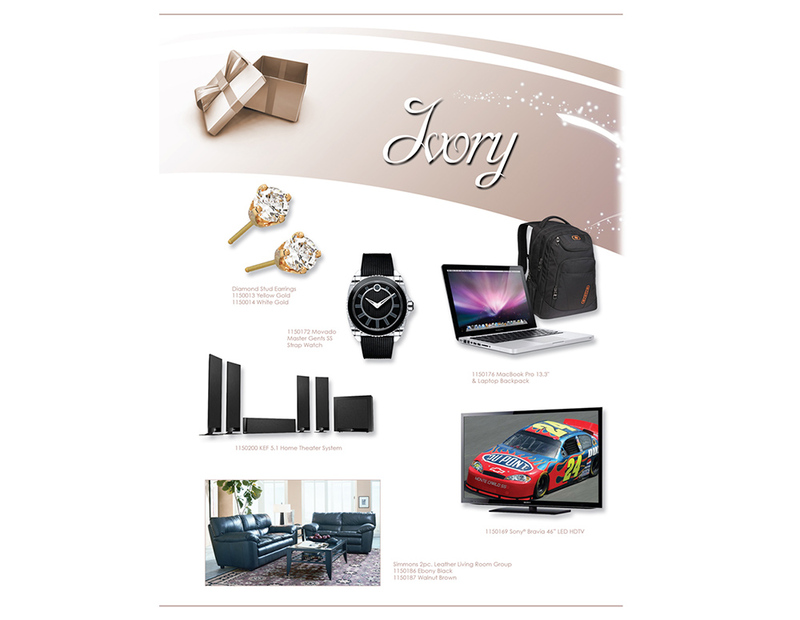 This catalog comes with a white presentation envelope, insert sheet and white catalog sleeve. All shipping & handling within the contiguous 48 state is included.